Epirus (; Greek: Ήπειρος, Ípeiros), formally the Epirus Region (Περιφέρεια Ηπείρου, Periféreia Ipeírou), is a traditional geographic and modern administrative region in northwestern Greece. It borders the regions of West Macedonia and Thessaly to the east, West Greece to the south, the Ionian Sea and Ionian Islands to the west and Albania to the north. The region has an area of about 9,200 km2 (3,600 sq mi). It is part of the wider historical region of Epirus, which overlaps modern Albania and Greece but lies mostly within Greek territory. Greek Epirus, like the region as a whole, is rugged and mountainous. It comprises the land of the ancient Molossians and Thesprotians and a small part of the land of the Chaonians the greater part being in Southern Albania. It is largely made up of mountainous ridges, part of the Dinaric Alps. The region's highest spot is on Mount Smolikas, at an altitude of 2.637 metres above sea level. In the east, the Pindus Mountains that form the spine of mainland Greece separate Epirus from Macedonia and Thessaly. Most of Epirus lies on the windward side of the Pindus. The winds from the Ionian Sea offer the region more rainfall than any other part of Greece. 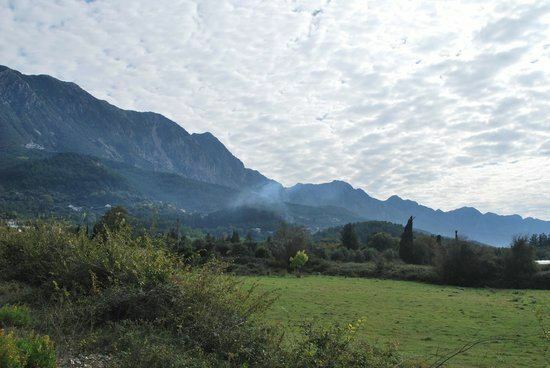 The Vikos-Aoos and Pindus National Parks are situated in the Ioannina Prefecture of the region. Both areas have imposing landscapes of dazzling beauty as well as a wide range of fauna and flora. The climate of Epirus is mainly alpine. The vegetation is made up mainly of coniferous species. The animal life is especially rich in this area and includes, among other species, bears, wolves, foxes, deer and lynxes. Epirus is divided into four regional units (formerly prefectures, nomoi), which are further subdivided into municipalities (dimoi). The regional units are: Thesprotia, Ioannina, Arta and Preveza. In January 2011, according to the reform introduced by the Kallikratis Programme (Act 3852/2010) the prefectures were abolished and replaced by regional units. The former municipalities and communities were re-structured to form only 18 new municipalities. The region's governor is, since 1 January 2011, Alexandros Kachrimanis, who was elected in the November 2010 local administration elections for the New Democracy and Popular Orthodox Rally parties. Epirus has few resources and its rugged terrain makes agriculture difficult. Sheep and goat pastoralism have always been an important activity in the region (Epirus provides more than 45% of meat to the Greek market) but there seems to be a decline in recent years. Tobacco is grown around Ioannina, and there is also some farming and fishing, but most of the area's food must be imported from more fertile regions of Greece. Epirus is home to a number of the country's most famous dairy products' brands, which produce feta cheese among others. Another important area of the local economy is tourism, especially eco-tourism. The outstanding natural beauty of the area, as well as its picturesque villages and traditional lifestyle, have made Epirus a strong tourist attraction. Around 350,000 people live in Epirus. 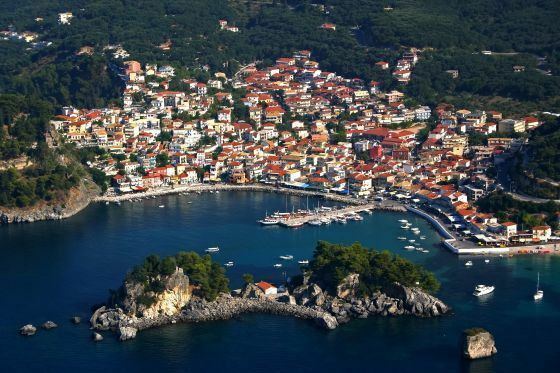 According to the 2001 census, it has the lowest population of the 13 regions of Greece. This is partly due to the impact of repeated wars in the 20th century as well as mass emigration due to adverse economic conditions. The capital and largest city of the region is Ioannina, where nearly a third of the population lives. The great majority of the population are Greeks, including Aromanians and Arvanites. The delineation of the border between Greece and Albania in 1913 left some Albanian-populated villages on the Greek side of the border as well as Greek-populated villages and cities in Northern Epirus, in present-day Albania. In the past, the coastal region of Thesprotia was also home to a Cham Albanian minority, whose number did not exceed 25,000 in 1940s, alongside the local Greeks. After the war, the Greek census of 1951 counted a total of 127 Muslim Albanian Chams in Epirus, while in 1986 44 were counted in Thesprotia.